After spending twelve hours in the Big Brother 11 house, WeLoveBigBrother.com is prepared to share all of our juicy details. For now, here’s a preview of what to expect. On Monday, June 29th, WeLoveBigBrother.com will be sharing the details and video from our stay in the Big Brother 11 house on June 19th. We’ll have a detailed story about the house and possible twist ideas. Plus we’ll explain all of the details of the eleven other journalists who were locked in the house alongside WLBB. Who particpated in the media in-house day? Who won the HOH and Veto challenges, who was nominated, and who was evicted? Are any online rumors about the house correct? Post your comments below about what information you hope we reveal on June 29th. P.S. 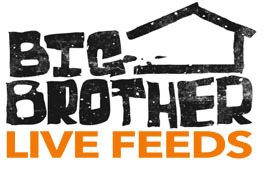 – Did you know you can sign up for the Big Brother 11 live feeds NOW and save 25% off the regular price. Sign up before premiere night and pay on $29.99 for the entire Big Brother 11 season. The price goes up to $39.99 if you sign up after July 9th. So sign up today for your free trial and exclusive pre-season content.